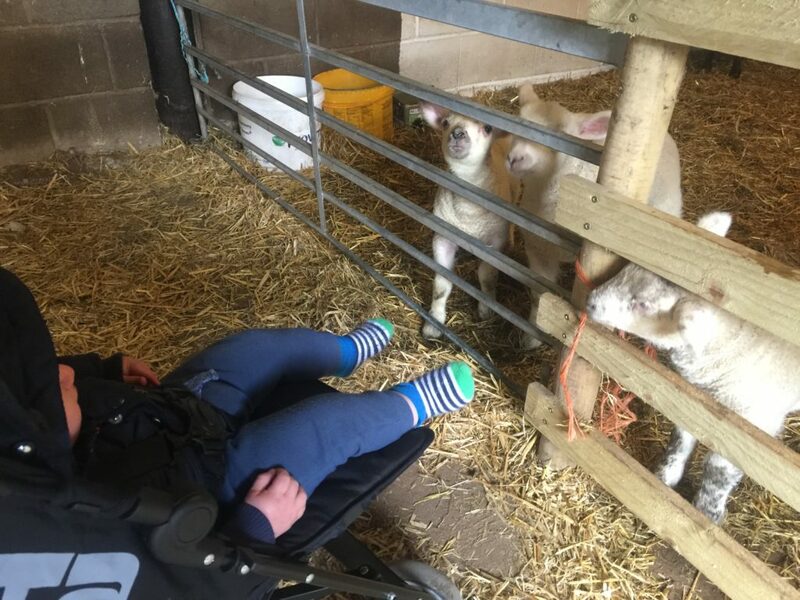 I absolutely love taking Dex to see animals so when I heard about Church Farm from a fab post written by Meme and Harri about days out in Merseyside and Cheshire, I knew we had to go. 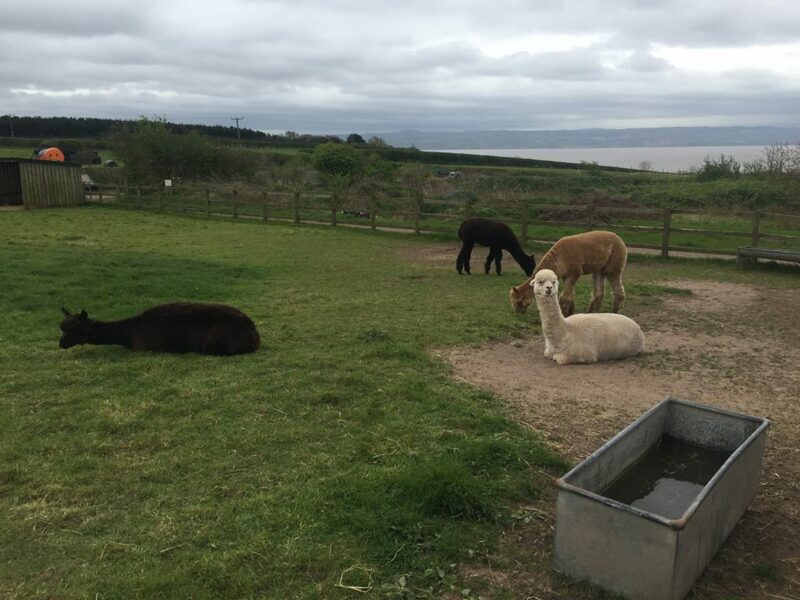 Church Farm is located in Thurstaston on the Wirral and so is easily accessible from north Wales, Cheshire and Merseyside. For us, it is only a 30 minute drive once we are through the tunnel which gave Dex the chance to have a little nap before the fun began! The car park is pretty big and accommodates fifty vehicles. We went to the little booth to pay our admission which can vary depending on whether it’s high, mid or low season. With it being school holidays when we went, it was high season so we paid £5.50 per adult with Dex getting in for free as he is under 1. There is a huge range of animals on the farm. We started by looking at the goats who are enclosed in a circular area in the middle of the farm. They are so tiny that they can pop their heads through the barbed wire to come and say hello. We had Dex in his Zeta Citi stroller which is outward facing so he could see everything that was going on and he was enchanted by them. Next we went to see the meerkats. When we first went over to their enclosure, they were hiding inside in the warm due to it being a very blustery and overcast day, but when they saw us arrive they couldn’t help but come out and see what was going on. 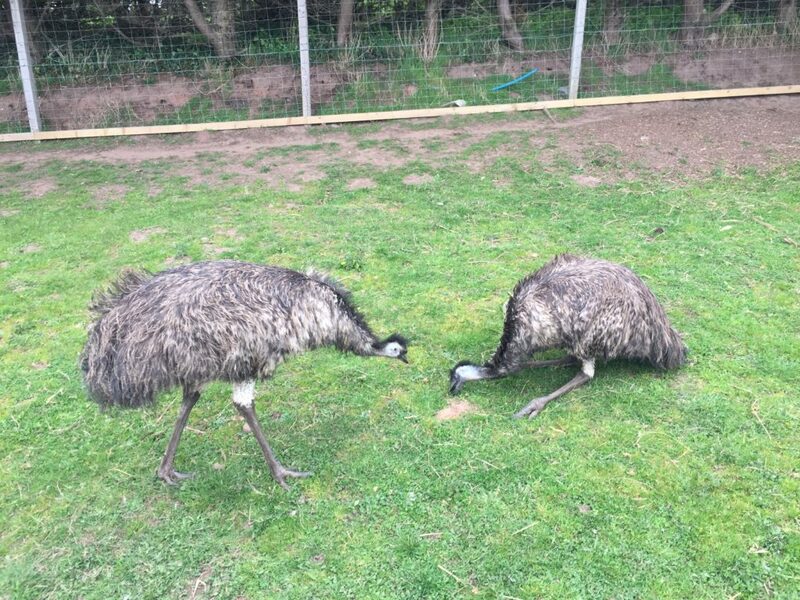 Situated next to the meerkats are two emus who live in their field with two goats. As we wandered over to the swings, a large hen came out of the hen house to say hello to us. He was really so tame. He came up right next to me and I could have touched him if I’d wanted to. We let Dexter have a go on the swings which he adored. There is also a big outdoor activity area next to the swings which we didn’t look at as Dex is still a little bit small for that. There is an animal trail which we wandered up and down where you can see sheep, cows, alpacas, geese and pigs. 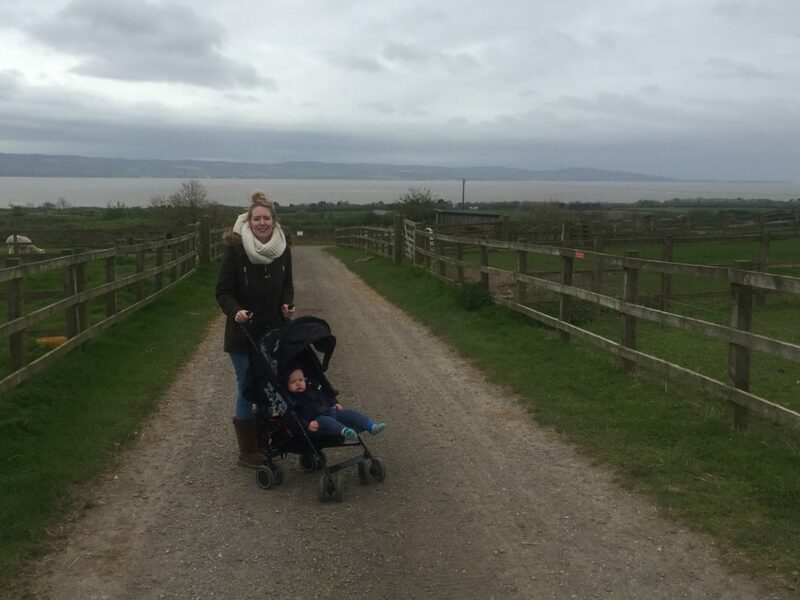 The trail overlooks the Dee estuary and the views are quite breathtaking. The photos really don’t do it justice and I bet on a sunny day, the scene is even more picturesque. Indoors they have a beach area; a covered play area with lots of sand, decking and deck chairs, perfect for tiny children who love the seaside. Alongside there are small tractors for children to ride and plenty of seating for you to eat your picnics. Before leaving we stopped into the shop which sells lots of local farm product from meat to eggs to cheeses and had a coffee and a cake in the coffee shop. The cafe has a log burner fire which kept us toasty and warm while we sipped our coffee and Dex had a spot of lunch. I was really pleased that they have Ikea highchairs for the babies as well as a microwave and a Tommee Tippee bottle/food warmer. The cakes are made by a local company called Gorge’us and the Millionaire Shortbread that we had was truly delicious. 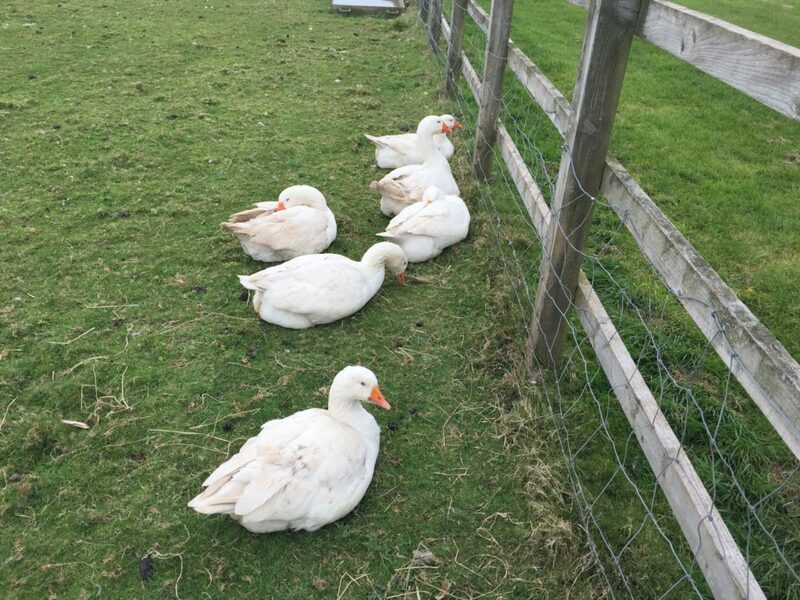 We didn’t take part in any of the activities that they had on offer but throughout the day there was a timetable of stuff including a tractor ride, a hen house tour, the emu experience and guzzling goats. 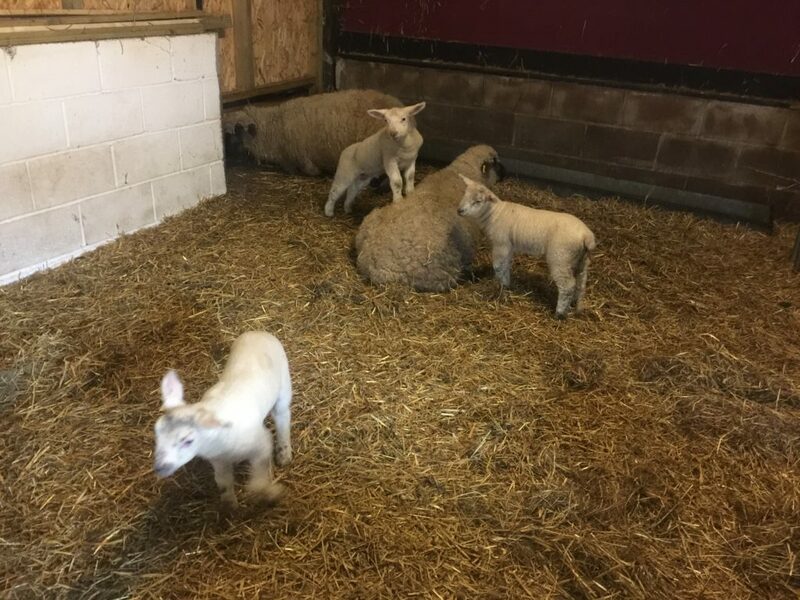 Church Farm really is a great day out for the whole family. We will definitely be returning to see the animals again. Check out previous days out here. This place sounds great. We love a farm although we haven’t been for a while, maybe when the weather picks up. It’s always helpful when places have great facilities for babies/toddlers it really makes all the difference. What a lovely looking place, I love things like this for a wholesome feeling family day out! Even better that they have a cafe with a log burner, I think I’d be there the whole time! What a lovely say out- I’ve yet to meet a toddler who doesn’t love a farm trip! Great post.